A curriculum vitae is used when you are wanting to start your first job in your long career after time spent in academia. However, a number of students don’t give it as much concentration and effort that it deserves. Hence, it is paramount that you focus on your two (or at most three) page CV to ensure you are placing yourself in the best light to prospective employers. On the hunt in the job market, you want to ensure you’re the person who is chosen for an interview, so your CV will need to portray you as the professional and competent graduate you will be when you graduate. 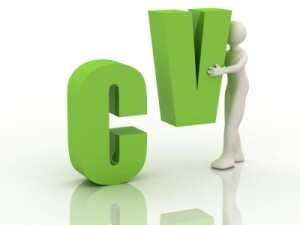 It is the first opportunity you have to do this, so you need to ensure that your CV is flawless. A CV needs to read concisely, be free of all errors such as spelling and punctuation, and include properly formatted headings and layout. Every part of the document needs to be of the highest quality to ensure your first impression leads to your CV being placed at the top of the pile. Uniproof has a number of years’ experience proofreading, formatting and editing CVs and resumes, and our proofreaders will ensure your CV will set an exceptional standard to all who read it. Get ahead of the crowd and sparkle in front of your competition.